Ashampoo Backup is the handy solution to back up and restore entire disk partitions including bootable operating systems. The simplified user interface makes the program usable by anyone including beginners. Even heavily damaged or ransomware-infected system can be restored thanks to the newly integrated rescue system. 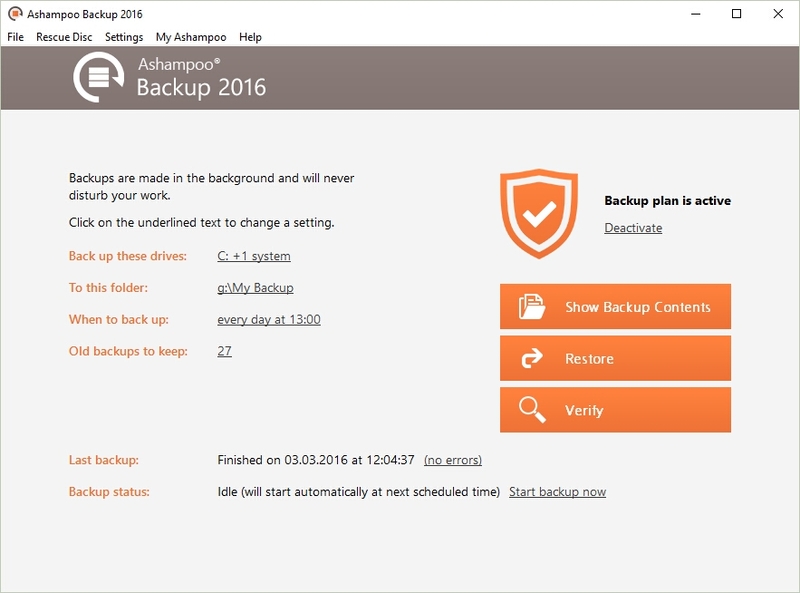 No prior knowledge is required as Ashampoo Backup 2018 is fully self-explanatory and focuses on essential features. Backups are even updated automatically with data verification to ensure their usability and maximum compression for efficient file storage. 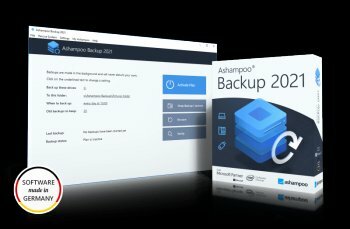 Ashampoo Backup 2018 is light on system resources but pauses automatically when users require full system performance. Data can either be recovered through the program itself or with the help of the new rescue system (runs off CD / DVD / Blu-ray and flash drives). The latter is especially useful if system drives become corrupt or infected.